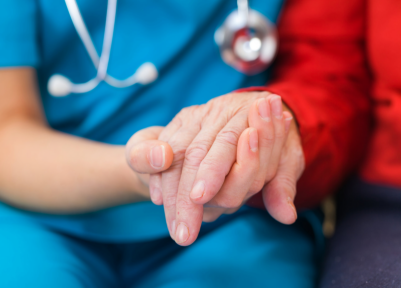 When a loved one is diagnosed with a terminal illness and receiving hospice care services. Care Perfections will work with a hospice Agency or your medical provider to provider support for the hospice care your loved one is receiving. Many people believe home hospice services provide round-the-clock care. Unfortunately, this is not the case. Often, hospice services offer an hour or two of care per day, plus a weekly check-in by a nurse. Our goal is to keep your loved one cared for and give the family the time to spend with their loved one. Ways we can do this is by bathing, dressing, and offering toileting assistance for your loved one. We can provide light house cleaning, laundry services, meal preparation. We can also stay with your loved one, offering companionship. You are then able to take a break, knowing your loved one is in caring, capable hands. As a provider of home health care services in Warrenton VA and Manassas VA, our specially trained hospice support Caregivers, will also provide the family with emotional and moral support.